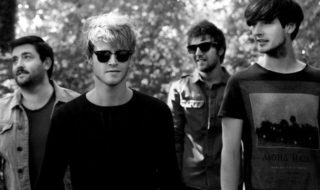 Ahead of their two homecoming gigs at the 3Arena this week, Kodaline have released a new version Love Will Set You Free. The track, from their latest LP, ‘Coming Up For Air’, recorded an Irish version of the track, sharing it exclusively with RTÉ 2FM and best buddy Eoghan McDermot. Here's a WORLD exclusive. The first time the world is hearing this – 'Lig An Ghra Isteach I Do Chroi. Kodaline & Eoghan McDermott… Album details being released soon.